In Japan, stigma on mental health is a large problem that obstructs access to and development of proper mental health care (Ando et al., 2013). 50% of the individuals suffering from mental illness rather stay silent about their mental illness and 40% stated they suffered negative social impact as a result of mental illness (BBC, 2014). An article by Desapriya & Nobutada (2002) stated that almost two-thirds of those suffering from a mental illness in Japan refrain from seeking psychiatric help due to this stigmatization. This is problematic, since mental illnesses are highly prevalent in Japan. For instance, Japan has the highest prevalence of schizophrenia in the world, with an age-adjusted prevalence of 544 per 100.000 for males and 418 for females per 100.000 individuals, compared to respectively 343 and 378 per 100.000 individuals for males and females in Botswana and Ghana (Ayuso-Mateos, 2013). It is also reported that schizophrenia is more stigmatized than depression, and individuals with schizophrenia are considered more dangerous by the Japanese population than are depressed individuals (Griffiths et al., 2006). Several studies have furthermore confirmed that general stigmatization of mental illness is greater in Japan than in other countries (Griffiths et al., 2006; Kurihara et al., 2000; Kurumatani, Ukawa & Kawaguchi, 2004). Stigma is thought to be caused by both individual and community factors (Kido et al., 2013). Of these, individual factors can generally be divided into three main components: lack of education, negative attitudes and discrimination (Thornicroft, Rose, Kassam & Sartorius, 2007). This paper will examine both types of factors of stigma in Japan. Reducing such stigma on mental health can improve mental health outcomes. In order to address stigma on mental illness in Japan, this paper will explore the nature and characteristics of stigma and will review existing successful interventions aimed at reducing this stigma. Firstly, both individual and community level causes of stigma will be assessed in more detail. Secondly, current successful interventions to reduce stigma will be explored and evaluated on their potential. Finally, based on the accumulated evidence, a conclusion will determine what can needs to be done to change stigmatization in Japan. This will then give insights in and provide suggestions for how stigmatization in Japan can best be addressed. In order to determine what causes mental health-related stigma in Japan, both individual and community level factors of stigma are explored in this section. The individual level factors lack of education, negative attitudes and prejudice, and discrimination are first evaluated, after which community level factors of stigma in Japan are reviewed separately. A short summary after each section will determine what needs to be done to change these identified factors and reduce stigma. Japanese society has various conceptions of mental illness that differ from other widely­-held conceptions (Ando et al., 2013; Henderson & Thornicroft, 2009). For instance, common causes of mental illness are considered psychosocial factors, such as a weakness of character, but also a loss of willpower or being a generally nervous person (Desapriya & Nobutada, 2002; Ando et al., 2013; Nakane et al., 2005). This also means Japanese society considers it shameful to have a mental illness, since it is thought that the individual is responsible for developing a mental illness (Desapriya & Nobutada, 2002). This shame is an important cause of stigma in Japan and leads to increased social distance between the mentally ill and the general population (Ando et al., 2013; Haraguchi et al., 2009). Particular conceptions of mental illness in Japan might be brought about by a lack of education of mental illness. Studies have confirmed a general lack of knowledge regarding schizophrenia symptoms, causes, treatment and recovery (Hori, Richards, Kamawoto & Kunugi, 2011; Jorm et al., 2005; Tanaka, Inadomi, Kikuchi & Ohta, 2005). For instance, a web-based survey held in Japan showed that 80% of the Japanese population agreed that schizophrenia could be treated (Hori et al,. 2011). Reviews have shown that in general, the Japanese consider recovery from mental illness unlikely. Also, Japanese society does not consider biomedical treatment options helpful for mental illness; respectively 30-41% and 54-67% regarded antipsychotics and psychotherapy as helpful (Jorm et al., 2005). There thus seems to be general mistrust in biomedical medicine. In addition, Japanese society considers it the task of the family of the mentally ill to take care of these patients; studies show that the most commonly considered suitable help for mental illness are thus friends or family (70-72%) (Desapriya & Nobutada, 2002; Jorm et al., 2005). This is in contrast with countries that have adopted a biomedical view on mental illness, where psychiatric treatment or other professional care is often considered the norm. Less than 50% of Japanese respondents of the web-based survey however regarded psychiatrists as suitable caretakers of the mentally ill (Jorm et al., 2005). This reduces the likelihood of seeking professional help for those that suffer from mental illness. Based on this evidence, lack of education and particular conceptions of mental illness seem to play a large role in stigmatization of mental illness in Japan. Improving general education of mental illness could be of great help towards reducing stigma of mental illness. Specifically pessimistic recovery perceptions and general misconceptions on biomedical treatment and medication seem useful targets for interventions. In addition to misconceptions being caused by lack of education, negative attitudes against mental illness are also often caused by ignorance among Japanese society. This provides additional arguments that improving education can be useful in reducing stigma in Japan. Negative attitudes can also emanate from misconceptions, and often lead to prejudice and increased social distance (Ando et al., 2013; Griffiths et al., 2006). This social distance, in turn, leads to for instance loss of social opportunity for the mentally ill, economic inequality, housing discrimination and low quality of life (Ando et al., 2013; Henderson & Thornicroft, 2009; Thornicroft, Brohan, Rose & Sartorius, 2009). A study by Griffiths and colleagues (2006) evaluated social distance between the mentally ill and the general population and compared these results between Australia and Japan. They defined social distance as an unwillingness to make social contact with a mentally ill individual. The study reported that there was larger negative stigma and social distance between mentally ill and the general population in Japan than Australia (Griffiths et al., 2006). This difference can be explained by several factors that contribute to stigma in the country. Firstly, Japanese service delivery for the mentally ill focuses on long-term hospitalization, whereas Australia is focused on de-institutionalization. In a study comparing Bali and Japan regarding stigma on schizophrenia, it was reported that Japan had sufficient hospital beds, whereas Bali suffered an unavailability of beds which lead to increased contact between the general population and individuals suffering from schizophrenia (Kurihara et al., 2000). Thus, Japan’s preference for institutionalization and abundance of hospital beds might lead to less contact between the general population and mentally ill, which increases social distance and negative attitudes. It seems that negative attitudes in Japan are an important cause of stigma on mental health. Secondly, several studies have found significant stigmatizing attitudes among the general population of Japan. For instance, Hori and colleagues (2011) found in their web-based survey that 48-61% of respondents considered individuals suffering from schizophrenia harmful for their children. Also, one in four respondents from the general population agreed that individuals with schizophrenia should be kept in hospitals. Other prejudiced attitudes from additional studies included the notion that dementia is a shameful condition (Umegaki, Suzuki, Ohnishi & Iguchi, 2009; Umegaki et al., 2007). 48-61% of survey respondents would not hire someone with depression, 58-74% would not support a politician with schizophrenia and 54-58% would not support one with depression (Griffiths et al., 2006). Thirdly, also in relation to lack of knowledge in Japanese society, there are little to no national awareness campaigns for mental illness in Japan (Ando et al., 2013; Griffiths et al., 2006). Media coverage of mental illness is additionally low (Griffiths et al., 2006). Such national awareness campaigns can increase positive attitudes against mental illness, and the lack of it can therefore explain more negative attitudes in Japan compared to Australia. All in all, stigma of mental illness in Japan seems to be largely fueled by negative attitudes and prejudice against mental illness (Kadri & Sartorius, 2005). Reducing these negative attitudes could therefore greatly benefit reduction of stigma in Japanese society. Decreasing social distance and facilitating contact between individuals with a mental illness and the general population seem fruitful starting points to achieve this. Little research has been conducted on discrimination of the mentally ill in Japan. Discrimination occurs when stigma is acted upon in behavior, such as exclusion or rejection (Abbey et al., 2011). The previously mentioned study by Griffiths and colleagues (2006) comparing mental health-related stigma in Japan and Australia does report that perceived stigma is high in Japan. It confirms that schizophrenia, highly prevalent in Japan and also more prevalent than depression, suffers more stigmatization compared to depression. In their survey, 62.6% of Japanese respondents indicated they agreed that an individual suffering from chronic schizophrenia would be discriminated against by their community, compared to 27.2% for individuals with depression (Griffiths et al., 2006). A cross-sectional study in 27 countries indicated that negative discrimination was encountered among 47% of respondents while making or keeping friends, among 43% from family members, 39% while trying to find a job as well as keeping a job, and among 27% of respondents in their relationships (Thornicroft et al., 2009). Furthermore, of the respondents suffering from mental illness themselves, 72% indicated they felt the need to conceal their diagnosis, a consequence of anticipated discrimination. This anticipated discrimination also leads to low self-esteem. These findings highlight the importance to increase self-esteem in individuals suffering from mental illness (Thornicroft et al., 2009). Furthermore, employment recruitment generally suffers high levels of discrimination (Ando et al., 2013; Corrigan, 2004). In fact, 55.2% of Japanese survey respondents indicated they would not hire someone suffering from depression, and 79.2% would not hire someone suffering from depression (Griffiths et al., 2006). Both anticipated and negative discrimination of individuals with a mental illness can additionally lead to low rates of help seeking, diminished access to care, treatment gap, poverty and social marginalization (Thornicroft et al., 2009). In summary, discrimination of mental illness in Japan has significant consequences. Individuals with schizophrenia suffer most from discrimination and can therefore benefit most from intervention strategies. Also, reducing discrimination amongst employers seems to be a useful target. All in all, despite little research on the topic, discrimination also plays an important role in stigma of mental illness and needs to be addressed in more detail to reduce this stigma. Next to individual factors, stigma is often influenced by community level factors such as the norms of a social unit or society. An example of stigmatization on a community level is the shared belief that an individual must act as is deemed socially appropriate by their social community (Kido et al., 2013). Japanese culture is generally known for its high value of conformity within society (Ando et al., 2013; Griffiths et al., 2006). Having a mental illness is considered deviation from the norm and is therefore not publicly accepted. Moreover, Japanese culture knows a distinction between Honne, which refers to someone’s real opinions or feelings, and tatemae, which refers to feelings that are publicly expressed. The Japanese have always been known to keep these different types of feelings separate, which sometimes leads to portraying the opinions that are publically accepted as opposed to opinions of their own. This is the reason for Japan´s preference of conformity (Naito & Gielen, 1992; Heine, Takata & Lehman, 2000). Furthermore, discussing mental illness in public in Japan was a taboo until only very recently (Furnham & Murao, 2000). These cultural characteristics again influence individual level factors of stigma such as lack of education, misconceptions, negative attitudes, little contact and discrimination of mental illness. Distinctive characteristics of Japanese society seem to be largely responsible for stigmatization of mental illness in Japan. These societal values could also give rise to individual factors of stigma and vice versa. Even though these cultural characteristics seem a crucial target for interventions, culture is robust and cannot be easily changed, if it can be influenced at all by interventions. Therefore, other causes for stigma in Japan are more likely targets for interventions to reduce this stigma. Based on the evaluated causes of stigma on mental health in Japan, it seems that interventions targeting education, attitudes or prejudice, discrimination and contact between the mentally ill and general population would be most fruitful. More specifically, awareness campaigns to improve knowledge about mental illness seem to be missing in Japanese society (Tanaka et al., 2004). 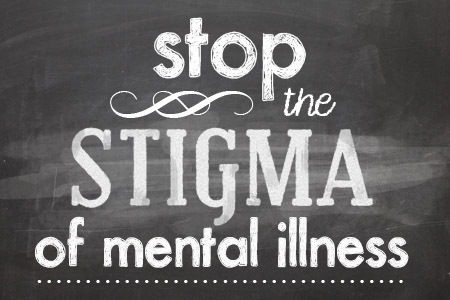 Successful interventions to reduce stigma within a population have indicated that education on mental health and contact with the mentally ill can improve stigmatization attitudes (Corrigan et al., 2001). Also, awareness campaigns in both Australia and the UK have shown effective in improving attitudes and behavior towards mental illness (Wright et al., 2006; Henderson et al., 2012; Griffiths et al., 2006). In fact, national awareness programs and campaigns that began in 2001 in Australia have been effective in reducing stigma and can explain the difference in stigmatization between Australia and Japan (Wright et al., 2006; Griffiths et al., 2006). Public awareness programs and campaigns to promote knowledge of mental illness seem also successful in addressing the lack of education, removing misconceptions and decreasing negative attitudes towards mental illness (Griffiths et al., 2006; Ando et al., 2013). Certain populations within Japan seem to benefit most from such anti-stigma campaigns. Mentally ill individuals suffer from large negative discrimination when applying for and keeping a job, thus Japanese employers are a likely target (Corrigan, 2004; Griffiths et al., 2006). Also, close friends and family are often prejudiced towards the mentally ill, therefore those close to those suffering from mental illness could also benefit greatly from these programs (Jorm et al., 2005). Friends and family often think the individual suffering from mental illness is to blame for their mental illness (Nakane et al., 2005; Tanaka, Inadomi, Kikuchi & Ohta, 2005; Kurumatana et al., 2004). However, a review by Angermeyer and colleagues (2011) concluded that focusing on changing this idea by educating the Japanese about biological causes of mental illness was not effective in reducing stigma. Instead, it is useful to only emphasize that mental illness is not the fault of an individual (Angermeyer, Holzinger, Carta & Schomerus, 2011). Also, a review by Kido & Yamaguchi (2013) showed that Japanese society had unique sociodemographic characteristics compared to societies that have adopted a biomedical view of medicine, which can determine the usefulness of interventions. Examples of these characteristics are a higher tendency of men to seek professional treatment for mental illness, and increased embarrassment among the elderly (aged 65 and older) about friends knowing about them getting professional help (Kido & Yamaguchi, 2013). These sociodemographic characteristics could be taken into account when inventing an anti-stigma campaign or program. Several attempts at reducing stigma have already been made by the Japanese government. For example, in 2002 the National Federation of Families with Mentally Ill requested that the Japanese Society of Psychiatry and Neurology (JSPN) implemented a revision in the Japanese name for schizophrenia. The JSPN then changed the name from seishin-bunretsu-byo, which literally meant split-mind, to the more tentative togo-shitcho-sho, which means integration disorder (Tagahashi et al., 2011; Sato, 2006). Furthermore, governmental institutions such as health facilities are already conducting some educational programs to increase knowledge on mental illness (Yamaguchi, Mino & Uddin, 2011). A review by Yamaguchi, Mino & Uddin (2011) on educational programs in Japan showed that the most effective educational programs contained information that can remove beliefs about dangerousness of the mentally ill, have a balanced approach of psychosocial and biological causes of mental illness or facilitate contact between the general population and mentally ill individuals. Their review identified that educational programs aimed at increasing knowledge on treatment and recovery of mental illness are lacking, and suggest their development in the future (Yamaguchi, Mino & Uddin, 2011). In Japan, there is a great need to reduce stigma on mental illness and increase awareness among the population since individuals with mental illness suffer from the consequences of this stigma. Increasing education, reducing negative attitudes, reducing discrimination and facilitating contact by implementing deinstitutionalization should be achieved in order to reduce stigmatization in Japanese society. Community level factors play a significant role in maintaining stigma of mental illness in Japan, but are unlikely targets for interventions. This can be done by facilitating national awareness and anti-stigma campaigns or other programs which should target the entire population but could also focus on close friends and families of the mentally ill, and employers. National awareness campaigns have shown to be successful interventions to reduce stigma, especially when they target populations that benefit most from these interventions (Griffiths et al., 2006; Kido & Kawakami, 2013). Other successful interventions to reduce stigma include educational programs focused on removing misconceptions, facilitating contact with the mentally ill and explaining that mental illness is not the individual’s fault. Underlying all the assessed successful interventions is increasing the knowledge and awareness of mental illness among the general population. Developing campaigns or other educational programs in Japan seem the best way to tackle mental health-related stigma and improve quality of life for those suffering from mental illness. Abbey, S., Charbonneau, M., Tranulis, C., Moss, P., Baici, W., Dabby, L. & Pare, M. (2011). Stigma and discrimination. Canadian Journal of Psychiatry,56(10), 1-10. Ando, S., Yamaguchi, S., Aoki, Y., & Thornicroft, G. (2013). Review of mental‐health‐related stigma in Japan. Psychiatry and clinical neurosciences, 67(7), 471-482. Angermeyer, M. C., Holzinger, A., Carta, M. G., & Schomerus, G. (2011). Biogenetic explanations and public acceptance of mental illness: systematic review of population studies. The British Journal of Psychiatry, 199(5), 367-372. Ayuso-Mateos, J. L. (2013). Global burden of schizophrenia in the year 2000. World Health Organization. Retrieved February, 10(1), 27-33. Corrigan, P. (2004). How stigma interferes with mental health care. American Psychologist, 59(7), 614-122. Corrigan, P. W., River, L. P., Lundin, R. K., Penn, D. L., Uphoff-Wasowski, K., Campion, J. & Kubiak, M. A. (2001). Three strategies for changing attributions about severe mental illness. Schizophrenia bulletin, 27(2), 187-196. Desapriya, E. B. R., & Nobutada, I. (2002). Stigma of mental illness in Japan. The Lancet, 359(9320), 1866-1866. Haraguchi, K., Maeda, M., Mei, Y. X., & Uchimura, N. (2009). Stigma associated with schizophrenia: cultural comparison of social distance in Japan and China. Psychiatry and clinical neurosciences, 63(2), 153-160. Heine, S. J., Takata, T., & Lehman, D. R. (2000). Beyond self-presentation: Evidence for self-criticism among Japanese. Personality and Social Psychology Bulletin, 26(1), 71-78. Henderson, C., Corker, E., Lewis-Holmes, E., Hamilton, S., Flach, C., Rose, D. & Thornicroft, G. (2014). England’s time to change anti-stigma campaign: one-year outcomes of service user-rated experiences of discrimination. Henderson, C., & Thornicroft, G. (2009). Stigma and discrimination in mental illness: Time to Change. The Lancet, 373(9679), 1928-1930. Hori, H., Richards, M., Kawamoto, Y., & Kunugi, H. (2011). Attitudes toward schizophrenia in the general population, psychiatric staff, physicians, and psychiatrists: a web-based survey in Japan. Psychiatry research, 186(2), 183-189. Jorm, A. F., Nakane, Y., Christensen, H., Yoshioka, K., Griffiths, K. M., & Wata, Y. (2005). Public beliefs about treatment and outcome of mental disorders: a comparison of Australia and Japan. BMC medicine,3(1), 12-24. Kadri, N., & Sartorius, N. (2005). The global fight against the stigma of schizophrenia. PLoS medicine,2(7), 1-10. Kido, Y., & Kawakami, N. (2013). Sociodemographic determinants of attitudinal barriers in the use of mental health services in Japan: findings from the World Mental Health Japan Survey 2002–2006.Psychiatry and clinical neurosciences, 67(2), 101-109. Kido, Y., Kawakami, N., Miyamoto, Y., Chiba, R., & Tsuchiya, M. (2013). Social Capital and Stigma Toward People with Mental Illness in Tokyo, Japan. Community mental health journal, 49(2), 243-247. Kurihara, T., Kato, M., Sakamoto, S., Reverger, R., & Kitamura, T. (2000). Public attitudes towards the mentally ill: A cross‐cultural study between Bali and Tokyo. Psychiatry and Clinical Neurosciences, 54(5), 547-552. Kurumatani, T., Ukawa, K., Kawaguchi, Y., Miyata, S., Suzuki, M., Ide, H., … & Uemoto, M. (2004). Teachers’ knowledge, beliefs and attitudes concerning schizophrenia. Social psychiatry and psychiatric epidemiology, 39(5), 402-409. Matsubayashi, K., Ishine, M., Wada, T., Ishimoto, Y., Hirosaki, M., Kasahara, Y., … & Otsuka, K. (2009). Changing attitudes of elderly Japanese toward disease. Journal of the American Geriatrics Society, 57(9), 1732-1733. Naito, T., & Gielen, U. P. (1992). Tatemae and honne: A study of moral relativism in Japanese culture. Psychology in international perspective, 50, 161-172. Sato, M. (2006). Renaming schizophrenia: a Japanese perspective. World psychiatry, 5(1), 53. Tafarodi, R. W., & Smith, A. J. (2001). Individualism–collectivism and depressive sensitivity to life events:: the case of Malaysian sojourners.International Journal of Intercultural Relations, 25(1), 73-88. Takahashi, T., Tsunoda, M., Miyashita, M., Ogihara, T., Okada, Y., Hagiwara, T., … & Amano, N. (2011). Comparison of diagnostic names of mental illnesses in medical documents before and after the adoption of a new Japanese translation of ‘schizophrenia’. Psychiatry and clinical neurosciences, 65(1), 89-94. Tanaka, G., Inadomi, H., Kikuchi, Y., & Ohta, Y. (2005). Evaluating community attitudes to people with schizophrenia and mental disorders using a case vignette method. Psychiatry and clinical neurosciences, 59(1), 96-101. Thornicroft, G. (2006). Shunned: Discrimination against people with mental illness. Oxford University Press: New York. Thornicroft, G., Brohan, E., Rose, D., Sartorius, N., Leese, M., & INDIGO Study Group. (2009). Global pattern of experienced and anticipated discrimination against people with schizophrenia: a cross-sectional survey. The Lancet, 373(9661), 408-415. Thornicroft, G., Rose, D., Kassam, A., & Sartorius, N. (2007). Stigma: ignorance, prejudice or discrimination?. The British Journal of Psychiatry,190(3), 192-193. Umegaki, H., Onishi, J., Suzuki, Y., Endo, H., & Iguchi, A. (2007). Attitudes toward disclosing the diagnosis of dementia in Japan. International psychogeriatrics, 19(02), 253-265. Umegaki, H., Suzuki, Y., Ohnishi, J., & Iguchi, A. (2009). Changes in the perception of dementia in Japan. International Psychogeriatrics, 21(04), 793-795. Wright, A., McGorry, P. D., Harris, M. G., Jorm, A. F., & Pennell, K. (2006). Development and evaluation of a youth mental health community awareness campaign – The Compass Strategy. BMC public health, 6(1), 215-225.